There are things out there that certainly are mysteries. I have quite a few in my past that were interesting. One was a fellow on Mindat.org who found me by way of that site. He was from Tucson and messaged me about something he found deep in the mountains of SE Arizona. He was not a mineral guy but found a vein of quartz that had a silver material all over it and he was convinced it was a new metallic deposit he had discovered while bird watching. He sent me a piece and as soon as I saw it I knew it was not a natural material. I emailed him back and said I thought it was something man made. He just couldn’t believe it since it was “in the middle of nowhere” as he said. I told him to take it to the University of Arizona Mineral Museum. I told him I thought it was some kind of stuff painted on the rocks since it was only on the outside and didn’t go into the quartz where he broke it. He took it to the University and they were also intrigued and said they would test it. He wrote me back a week later and said he got the results and it was aluminum paint. He was certain he had found a new mineral deposit but someone had actually painted some rocks in the middle of nowhere. Another one was a fellow we met at the shop had been in the same area of old mines and he was a mineral collector, although not a very knowledgeable one. He posted on Mindat that he thought he found Millerite in the Patagonia area. He had not contacted me until after he had posted the material. I told him that was not possible because there was no chemistry in S Arizona to support that. Another friend had been with him and he gave me a piece of the same ore and as soon as I looked under the microscope I saw it was Stibnite, a mineral that was supported by the chemistry. They did find that Stibnite in an area Mindat did not list for that mineral’s locality, so that information has been added to Mindat. It was not the Millerite he hoped it was. Dreams die hard. Mary told me many years ago when I found a new thing at a local mine and thought it might be some rare species, she said it is probably a much more common species but in a form I had not seen. She is usually right in pretty much all these cases and I learned a valuable lesson. I passed that onto the friend who gave me the Stibnite and he now thinks that his material was probably a more common mineral. Got a bunch of those stories over nearly 48 years of mineral collecting. Having worked with minerals now for so long I have gotten pretty good at identification but I do need to use a microscope to be sure. Will be interesting to figure out what that “weird stuff” turns out to be you found in that field. Seems rock related and not necessarily mineral related and that is often harder to get figured out than a mineral. 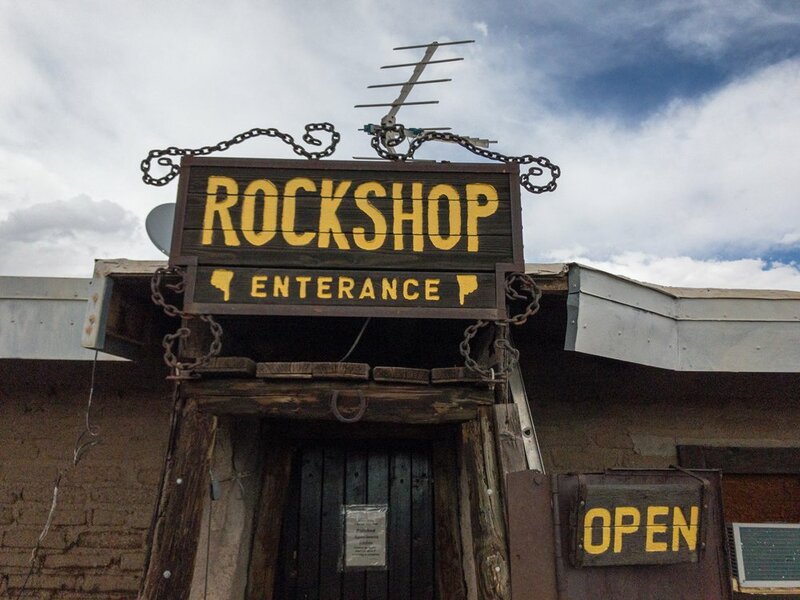 NB: Rolf is a longtime mineral collector and rock shop owner in Southern Nevada. Read about his must stop shop here. No agreed upon boundaries mark the American Southwest. 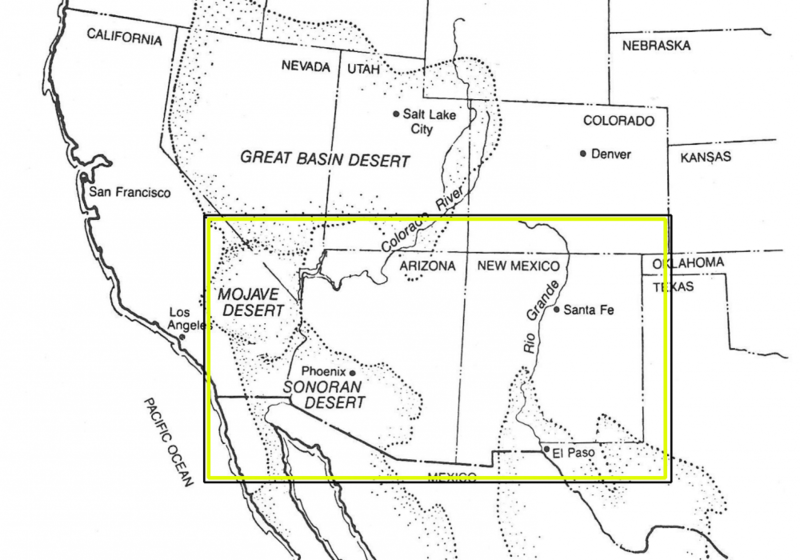 For my book I place its northern limit as the 38th parallel, the United States’ border with Mexico its southern limit. This image shows the area I write about, in the main, with no Mexico or Texas coverage. 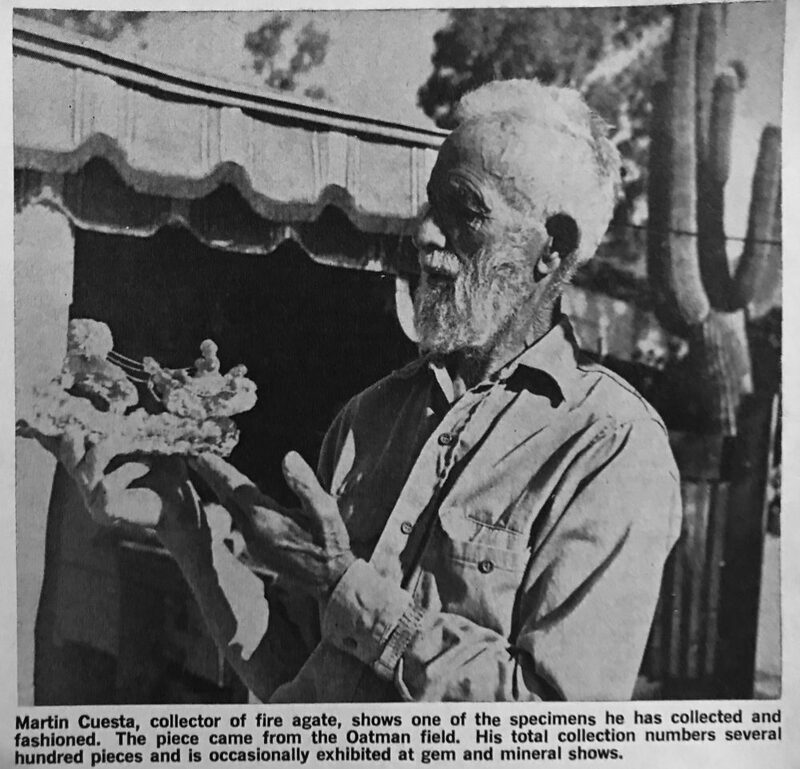 Sixty years after this article was published, the area near Oatman is still producing fire agate. If you’re willing to work at it. I mean, really work at it, with sledges, chisels, and breaker bars. Out in the field, you’ll find promising rough, the agate fixed to its host rock. On the bench, it’s lapidary skills and some luck to produce a finished piece that might flash red. I’ll report in my book on a fee dig operation that puts you on the path to this goal, finding a rock that properly worked might turn into a fine example of the king of agates. Off to Oatman, Arizona for a one day field trip. The land of burros. Any guesses as to what I will be looking for? I originally posted these entries to Rock & Gem Magazine’s Facebook page. I’m now putting them here as well. I’ll have much more on Quartzsite and Tucson in my upcoming book. Nearly 70 degrees today at the PowWow. Brilliant sun with no wind. Forgot the sunscreen. You may also want to bring your rockhounding tools. Each day during the PowWow, the Quartzsite Road Runner Gem and Mineral Club arranges two field trips each morning to collecting areas near and far. Only two dollars for non-members each trip. 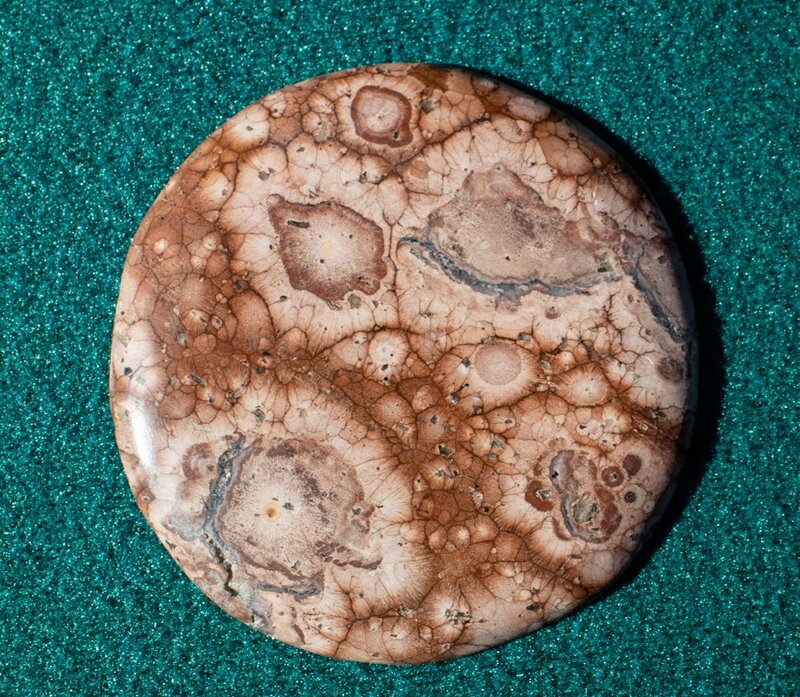 This picture is of a not-for-sale cabochon of birdseye rhyolite. It was shown to me by a field trip leader. It represents material that his group is going to try to collect Thursday morning. Trips to to other locations will find rockhounds searching for things like agates, marble, porcelain jasper, and sagenite. Moved over to the Desert Gardens venue today. Overcast, not terribly cold, but a wind was kicking up. Got there a little too early. Most vendors don’t get going until 10:00 A.M. but some are open before then. Giant show place, many acres. Features the smallest mineral specimens to big rough, I mean forklift size pieces in some cases. Desert Gardens carries far more rough than the Pow Wow. And it’s less crowded when the Pow Wow is going on. Lots of time to talk to the dealers. I think Desert Garden goes to the end of February. By that time, many of the sellers are making plans for Tucson but for many dealers and miners, Quartzsite is it. Back in Las Vegas, Nevada today, but here is a parting shot from the Pow Wow, still going on over the weekend. 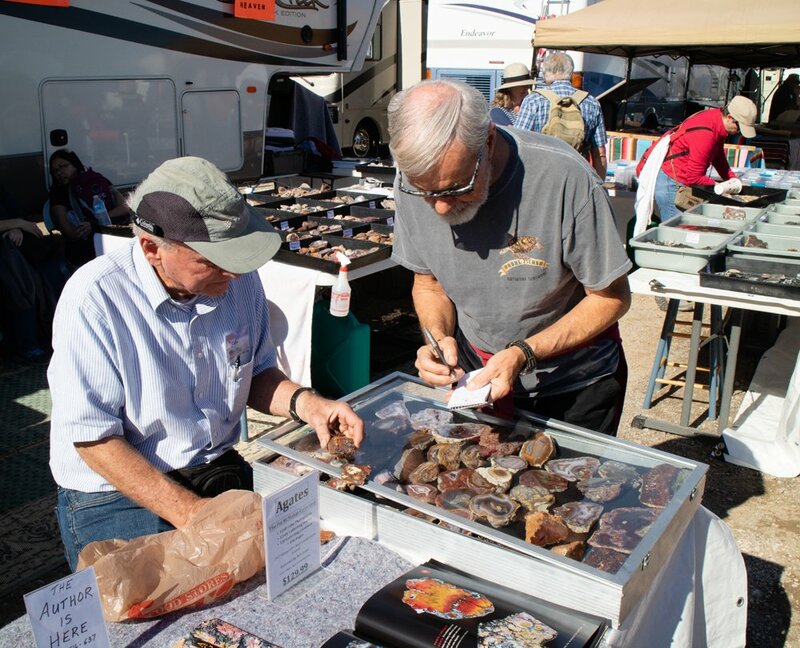 Here, author and miner and photographer Pat McMahan (left) patiently and with fondness for his slabs, identifies the agates a customer just bought. Pat is the author of the monumental Agates: The Pat McMahan Collection, endorsed by Bob Jones, which was the product of a year and a half of full time work, the result of over 26 years of collecting. You can’t have a shopping experience like this on eBay! The future of our hobby and our profession is with the young. 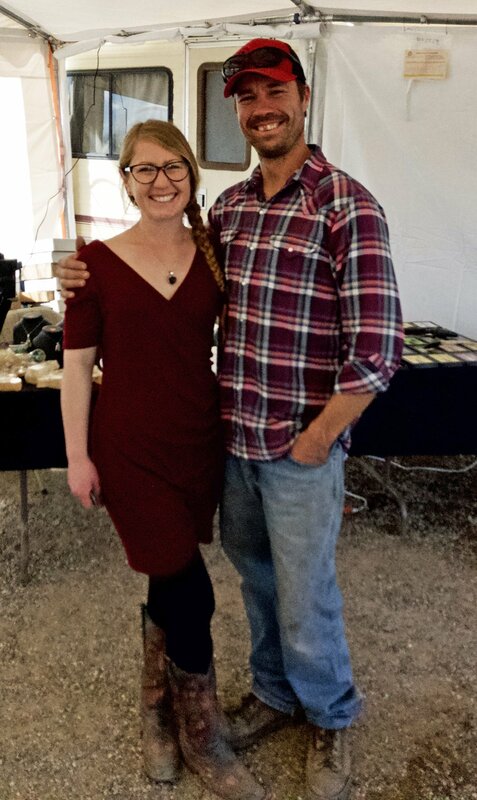 These two are Chelsea and John Keady, owners of Rock Chuck in Schurz, Nevada. They are miners and jewelry makers, often creating pieces from the stones they have dug. Visit them at booth 277 at the Pow Wow. And say hello to the future. Last day of the Pow Wow. Wish I was there. Here in The Big City, traffic is heavier, things move faster. People don’t smile as much, some are sullen. On Wednesday I accidentally left my expensive camera on a vendor’s table. When I discovered it missing, I hurriedly ran back to the seller’s booth. There, sitting quietly on the same table where I put it down, was my camera. I would like to think it would have been there anywhere else. But I wonder. I miss this rock and gem community already. This image is from two years ago. Walbom is set up this year at Space 320. 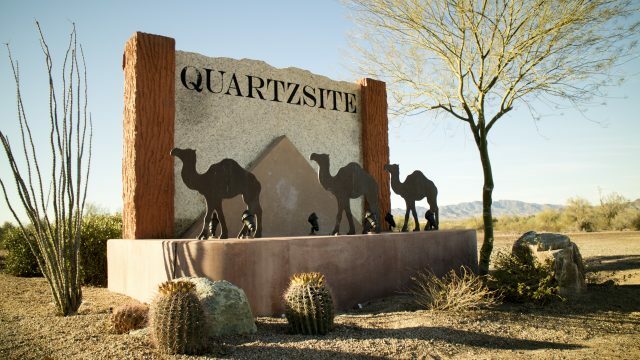 Quartzsite is a small town in the Arizona desert that each year plays host to rock and gem enthusiasts from all over the world. 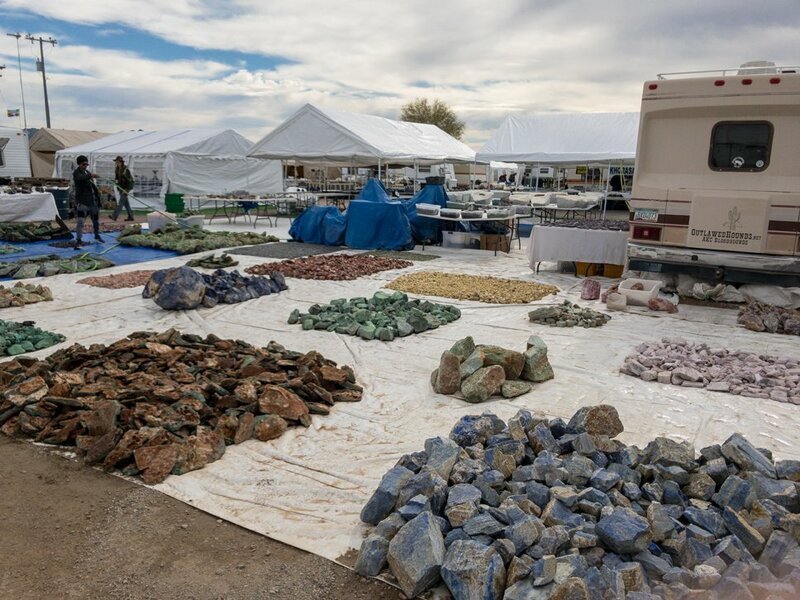 These rockhounds, prospectors, and lapidary people come to meet hundreds of vendors selling everything rock and jewelry related. Others come, too. In the desert around Quartzite, thousands of temporary winter visitors, called Snowbirds, make themselves a home for a few weeks or months. These are mainly RV folks, often retired, who roam the States seeking warm climates and interesting events. They certainly find both in Quartzsite. 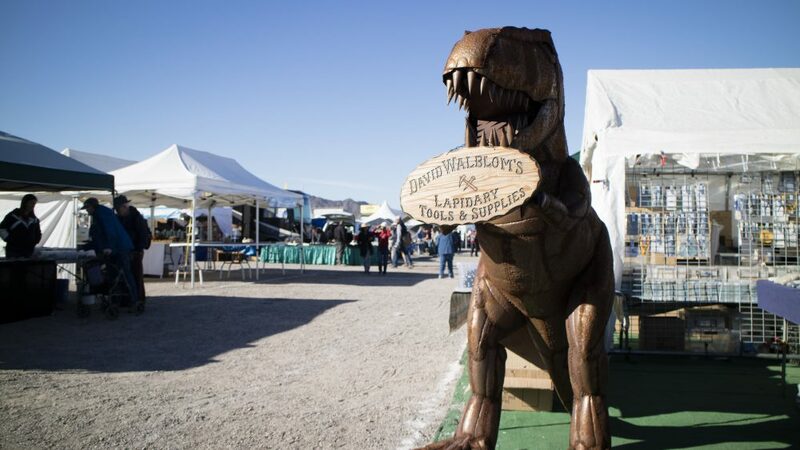 Besides rocks, dozens of venues host flea market goods, with everything from car parts to comic books to antiques. You’ll never know what you’ll find in Quartzsite. In addition to seasonal selling sites, permanent buildings in town include a unique bookstore, a great local history museum, and a bead shop that has a terrific rock and gem museum. QIA stands for the Quartzsite Improvement Association, a non-profit that uses proceeds from the event to benefit various concerns around the city. The PowWow runs from Wednesday, January 16th, to Sunday, January, 20th. Free parking and free admission, with a shuttle service to ferry people back and forth from the parking lot. The local gem club hosts two field trips each day during the PowWow, off to a different collecting sites each time. I won’t be able to participate in any digs due to my recent surgery, but I will be in town Wednesday and Thursday. I’ll take photographs for my book, interview people, and pass out business cards. 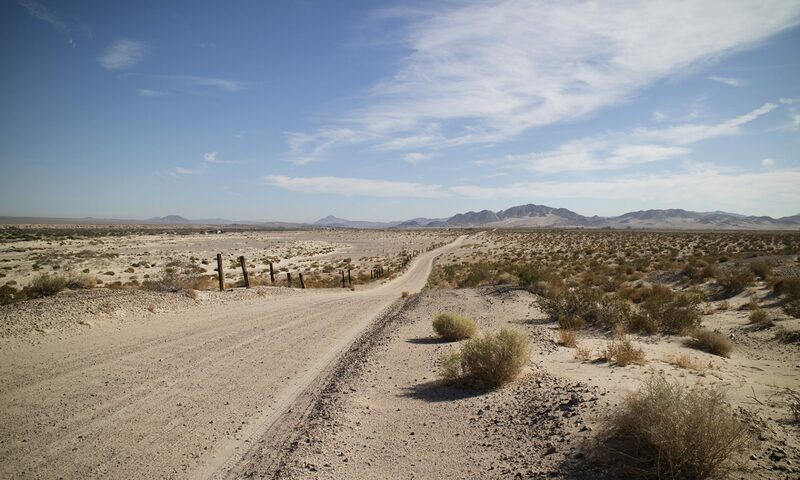 Winter weather can be iffy in the desert. Currently, a slight chance of rain is in the forecast. Heavy rain and wind can play havoc with the vendors, most of whom have outside booths. While that weather can happen, Quartzsite usually offers shirt-sleeve weather by noon. Bring plenty of water if you go walking around the PowWow. Humidity is low in the desert, even in winter, and people dry out. Comfortable shoes! And something to carry all your goods back to your vehicle. For bigger material, like petrified wood stumps, try the Desert Gardens venue. And pick up the free Quartzsite show guides which are placed all over town. Lastly, bring plenty of cash in small bills. While many vendors accept plastic, don’t assume that all will. And don’t try to make a dealer break a fifty or a one hundred dollar bill. When I go, I take an envelope of five and tens. There are no Big Bank ATMs in town, so get your cash stash beforehand. Remember, all sellers are small business owners who deserve the courtesy they will undoubtedly extend to you. Quartzsite is Here and The Fun Has Begun! Welcome one and all to day 7 at the wonder in the desert, Quartzsite! Uncle Neal will stamp your passport and show you the door. 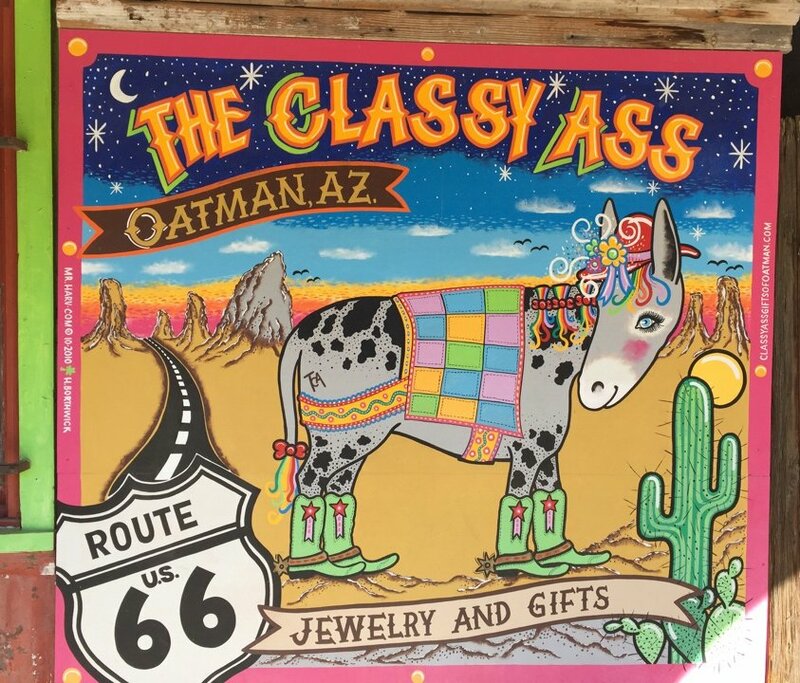 Quartzsite Arizona is really a rock hounds dream, established many years ago by wandering camel farmers, it has had a continuous rock show going since John Denver left and moved to Colorado and got all weird. First tourists started stopping as the freeway was slowly built, sometimes they would wander into the desert, sometimes they would wander back with rocks they would then sell to other tourists for water and trinkets. After 1978 the freeway reached almost a mile past town and the city was named. Quartzsite is a fantastic place to rock hound, the local rock club (friends of Quartzsite) offer rock hounding trips, volunteer to clean the public bus benches and hand out cheese sandwiches. Please be aware if you are approached by anyone saying they will take you rockhounding, ask to see their cheese sandwich. Last year over a 100 rock hounds were tricked into looking for valley opal and 12 swimming pools were built. It is a good chance that if you are standing in someones back yard with a shovel and you are within 10 feet of wifi and a coffee maker, you are not rock hounding. Todays Desert gardens events include Escape Room! held on the Lido deck, your goal is to try getting out of the house, finding the keys and your rock hammer and avoiding all your adult responsibilities so you can wander in the desert. If you purchased any Cinnabar from Toxic Tonys minerals, please be aware that testing has confirmed that this particular material is hardly toxic at all, if you would like the high grade stuff please come back this morning. Kids events today include buckskin Willys scorpion ranch! Willy has rustled up some 1.2 million desert red spotted viper scorpions, all in his .01 acre spread! Its fun to watch the little buggers tear across the desert floor, if you lean close over the 1 foot fence you can hear their tiny feet skittering in the sand! Milking and stampede starts today at 1. Where In The World is Thomas Farley? Rain has dogged me throughout my trip. Few brilliant blue skies. I am getting good information but the publisher’s stock photography site will have to be used for many images. 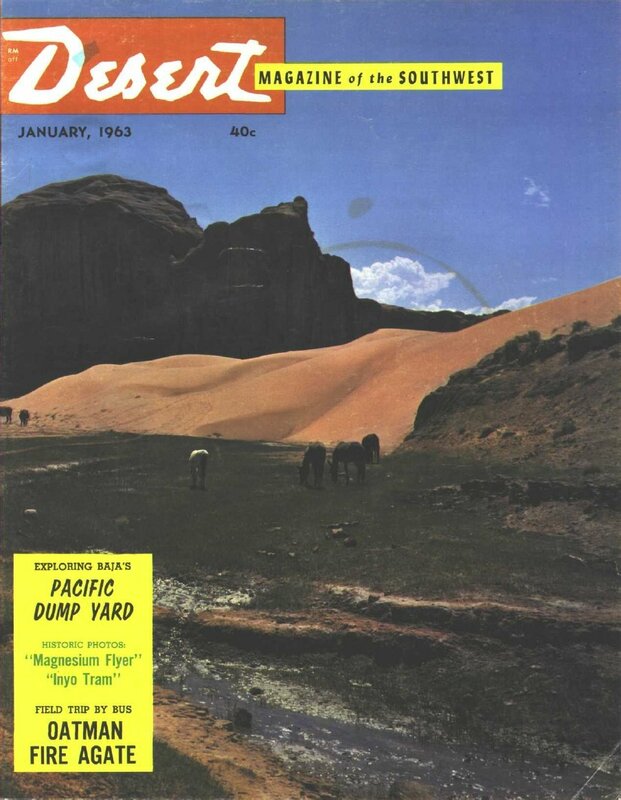 The Petrified National Forest in Arizona, for example, was clothed in deep gray. I am reassured, though, that there are professionally done shots of every National Park and Monument. 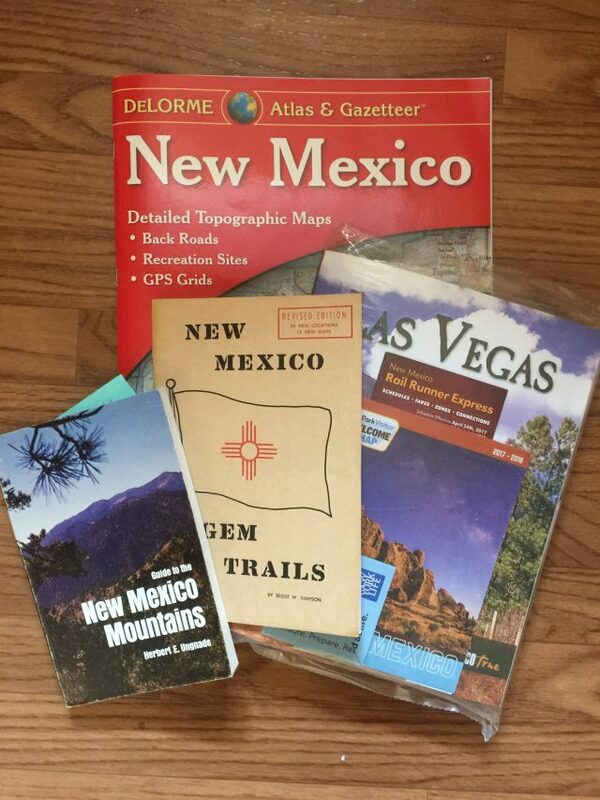 Getting ready for ten days in New Mexico and Arizona in October. The first in at least three sweeps through the Southwest.